While returning home from a trip to the Peekskill Brewery this past Sunday, we found a pair of seats in the front car of our Hudson Line train. As the express pulled out of Peekskill en route to its next stop at 125th St., I noticed two train employees in the front cab. This change in staffing came about as a direct result of the fatal crash in December, and the ongoing NTSB investigation. Since the accident and following a year of bad publicity and poor operations, Metro-North has lost one president. Much as NJ Transit Executive Director is stepping down in a few weeks, former Metro-North President Howard Permut stepped down two weeks ago. His time was up, and Joseph Giulietti’s is beginning. Needless to say, there are likely many more changes on tap for Metro-North. On Tuesday, the National Transportation Safety Board issued another set of recommendations to Metro-North. Their investigation is far from complete, and as the Daily News has repeatedly noticed, they haven’t focused much on the train operator who may or may not have dozed off while driving. But for now, the NTSB wants Metro-North to install permanent speed limit signs along its route and place crash-resistant cameras inside and outside their train cabs to improve oversight and, in case of need, investigations. 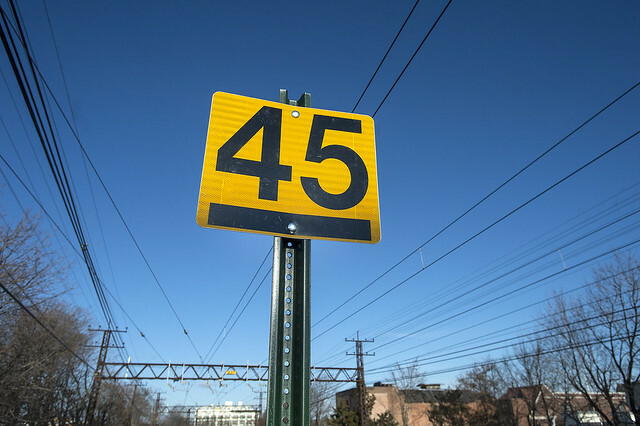 Information developed thus far in our investigation of the December 1, 2013, derailment indicates that, while Metro-North posted signs for temporary speed restrictions, it did not use approach permanent speed restriction signs for permanent speed restrictions, such as the 30 mph speed restriction at the derailment location. As a result of the accident, Metro-North installed approach permanent speed restriction signs to aid operating crews at the derailment location, as well as in three other locations where the permanent speed restriction is greater than 20 mph less than the prevailing speed. The NTSB believes that Metro-North should take additional steps by implementing a more systematic approach and install such signs at all locations where permanent speed restrictions are in place. Although posting of these signs may not have prevented the December 1, 2013, accident, in the process of investigating that accident and the others mentioned above, the NTSB noted this issue and felt it needed the attention of Metro-North. It is crucial that locomotive engineers and conductors know the location of speed restrictions that are identified by milepost in the timetable or in operating bulletins. This will alert train operating crews that speed restrictions are forthcoming and will comply with industry best practices. The release from the NTSB seemingly came out of nowhere as it the investigation, as I mentioned, is still ongoing, but Hersman was due to meet with Giulietti yesterday. The NTSB seems to think it can attract attention to some operating, especially in light of Metro-North’s temporary measures and signage. Year-end ridership numbers for the various MTA train lines are starting to trickle in. It’ll be a few more months before we have a snapshot of subway ridership for 2013, but we know that both the Long Island Rail Road and Metro-North reported increases in train travel last year. For Metro-North, in fact, 2013 featured record ridership. Now imagine if trains weren’t derailing far more regularly than we’d like. Joseph J. Giulietti, a 42-year transit veteran, will replace outgoing Metro-North President Howard Permut on February 1, MTA Chairman Tom Prendergast announced today. In the first public statements following reports of Permut’s sudden retirement, Prendergast praised the outgoing president and welcomed back Giulietti, the current executive director of the South Florida Regional Transportation Authority, the agency that operates Tri-Rail. Giulietti first started working for the railroad that would become Metro-North in 1971 when it was then Penn Central. He became a foreman with Conrail in 1978 and served as superintendent of transportation when Metro-North began operations in 1983. Before departing for sunny South Florida in 1998, he had served as engineer of track for the Harlem and Hudson lines and assistant director of transportation and schedule coordination, among other roles, at Metro-North. It’s been a rough 12 months for Metro-North. 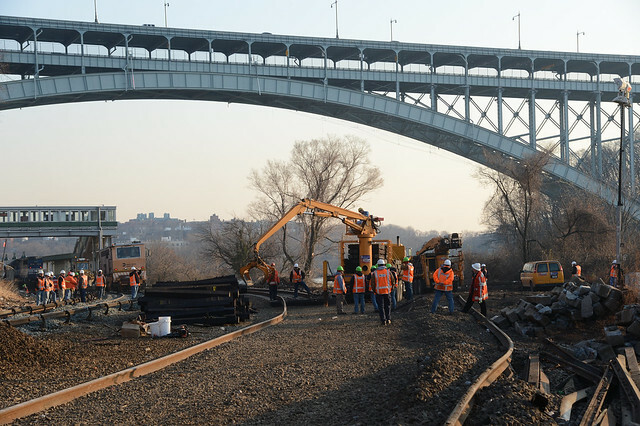 Headlined by December’s fatal derailment near Spuyten Duyvil, the commuter railroad faced power problems over this fall and a series of high-profile collisions and derailments earlier in 2013. Now, according to a report in The Times, Metro-North President Howard Permut will step down at the end of January after nearly six years on the job. Mr. Permut announced his retirement to staff members at a meeting late Monday afternoon, a transit official said. The official said that Mr. Permut is expected to be replaced by Joseph Giulietti, the executive director of the South Florida Regional Transportation Authority, and that Mr. Permut intends to stay until the end of January to help with the transition…A member of Metro-North’s original team in 1983, the year the railroad was brought under the auspices of the Metropolitan Transportation Authority, Mr. Permut became president in 2008, steering the railroad as it burnished a reputation as one of the region’s most reliable commuter systems. But last year seemed to deliver one nightmare after the next, prompting concerns from riders and attracting the glare of federal investigators. In May, a train collision on the New Haven line injured scores of passengers. Less than two weeks later, a track foreman in West Haven, Conn., was struck and killed after a trainee rail controller opened a section of track without proper clearance. Other episodes included the disruption of service on the Hudson line in July after the derailment of a freight train in Spuyten Duyvil and a series of problems on the New Haven line in September after the failure of a Consolidated Edison feeder cable. But it was the crash on Dec. 1 that was particularly devastating. Four people were killed and more than 70 were injured when a Hudson line train hurtled off the tracks early on a Sunday morning just north of Spuyten Duyvil station. The train’s operator became dazed at the controls, according to his lawyer. Metro-North had never before suffered any accident-related passenger deaths. The derailment focused attention on safety features that had been missing from Metro-North, including a system to enforce speed limits around sharp curves like the one at Spuyten Duyvil. The dots, I’d say, are firmly connected here, but I’ll have more once the MTA comments. Meanwhile, as Permut exits on a down note, his legacy at the railroad should be a better one than that. As The Times noted, he was involved in the formation of Metro-North out of the Conrail entity in 1983 and had led efforts that resulted in record ridership and, until recently, record reliability for Metro-North. He helped streamline scheduling, marketing and advertising for the railroad, and for better or worse, he oversaw an initiatives to better utilize parking spaces and connecting services. When Permut was named President, he noted that safety was a major focuses. While ridership has hit record highs throughout his tenure, he leaves on a down-note with regard to safety and reliability. Joseph Giulietti, who spent over 20 years with Conrail and Metro-North, will have to clean up while overseeing the positive train control installation and retaining and attracting riders. It’s not an easy job right now. In the aftermath of last month’s fatal Metro-North derailment, MTA Chairman and CEO Tom Prendergast knew he had to act quickly and decisively to confront safety concerns. The commuter railroads were unlikely to be compliant a federal mandate to install positive train control by the end of 2015, and public perception was starting to weigh against Metro-North. To speed up the project, estimated to cost at least $670 million, the MTA has applied for a $1 billion loan from the feds, Ted Mann of the Wall Street Journal reports today. Meanwhile, Mann also spoke with Prendergast about his previous experiences with safety concerns. As a young engineer in Chicago in the 1970s, the current MTA head had to face down similar problems after a pair of fatal CTA derailments. Prendergast is hoping to strike the right balance between a reliance on technology and the need for human decision-making. It’s not an easy balancing act, and time is not on the MTA’s side. When the MTA is in crisis mode, it has shown the ability to respond quickly and efficiently to address issues. For an agency not known for finishing projects on time, adapting new technologies within any reasonable timeframe or generally seeing through innovation, time and again, the MTA tackles major problems better than just about any other governmental agency. Most subway service was restored less than a week after Sandy in 2012, and, more recently, Metro-North and the LIRR instituted sweeping safety improvements barely a week after the first crash with passenger fatalities in Metro-North history. For this, the MTA deserves some praise. The agency has learned how to make the most out of potentially catastrophic scenarios and has become adept at responding. But the speed with which the MTA addressed some major underlying safety concerns over the past few weeks has raised some eyebrows. Why did it take a fatal crash to implement basic safety upgrades? If these problems were so easy to fix, why weren’t they implemented years ago? Since a Metro-North Railroad train derailed in the Bronx on Dec. 1, killing four people and injuring more than 70, the Metropolitan Transportation Authority has not had to look far for safety remedies that might have prevented the crash. 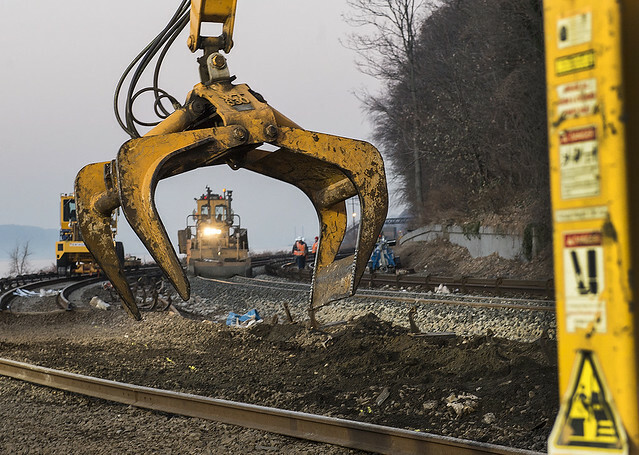 Recently ordered improvements, delivered in response to the derailment, have been borrowed from Metro-North’s sister agency, the Long Island Rail Road, and at times from the Metro-North system itself. Asked why broader changes to Metro-North’s signal system were not made sooner — particularly at well-known curves like the one at Spuyten Duyvil — Marjorie Anders, a spokeswoman for the authority, said it was the job responsibility of train operators to “know all the physical characteristics, including the speed limits” in all areas where they were qualified to work. For more than 30 years, she said, “that system worked fine,” with no accident-related passenger fatalities since Metro-North was created in 1983. The recent changes were “a result of the intense introspection currently underway at Metro-North,” she said. The bulk of Flegenheimer’s explores the reactions to the MTA’s changes. Board members were surprised by the speed at which Metro-North implemented its fixes and were floored to find out that many were rooted in common sense and parallel best-practices in place at the Long Island Rail Road. “The fact that some of the stuff was done in the rebuilding of track that occurred over a couple of days, it does lead you to believe that it could have been done earlier,” William Henderson, head of the MTA’s Permanent Citizens Advisory Committee, said. Ultimately, though, the MTA’s response to the crash and the response to the response brings up a tried-and-true problem with the agency — and really any government agency of its size and breadth. The MTA has been essentially reactive for decades now as it has struggled to overcome decades of deferred maintenance and disinvestment in the system. It is not a proactive leader in the global field of transit, and it may never get there. From an area as basic as the fare payment technology to a realm as important as safety, the MTA has not been ahead of the curve, and two weeks ago, it proved quite costly indeed. Less than two weeks after a fatal crash that killed four people and a few days after the MTA rushed to implement federally mandated safety improvements, the Federal Railroad Administration has announced it will begin an exhaustive review of Metro-North’s “safety culture” over the next two months. The 60-day review will commence on Monday, and this so-called Operation Deep Dive is the first of its kind. Once the review wraps in mid-February, the FRA will produce a report with its findings and recommendations. Then agency will assess Metro-North’s compliance with the safety order issued last week and will assess if other actions are necessary. According to various reports, the FRA decision stemmed not only from the fatal crash earlier this month but also from a series of accidents, fatal and non-fatal, over the course of 2013. Also Thursday, the MTA asked the FRA for a new $1 billion loan from a federally controlled program to pay for installation of positive train control, or PTC, a next-generation signal system that is intended to prevent train crashes caused by operator error, including speeding. The $1 billion loan request comes in addition to the $2.2 billion MTA has already sought to help pay for East Side Access, a massive, subterranean new terminal station for the Long Island Rail Road beneath the streets north of Grand Central Terminal. That loan request has not been approved. In a letter to Administrator Joseph Szabo, Mr. Prendergast said the federal loan would provide a much needed infusion of cash as the MTA develops PTC systems for Metro-North and the Long Island Rail Road. The MTA is among a number of large commuter railroads that said they do not expect to meet the December 2015 deadline to install PTC systems on all inter-city passenger and many freight rail lines. As Mann notes, the $1 billion request is for — surprise! — $300 million more than the MTA originally priced out a PTC installation. It’s unclear why the project is over budget, but the new number comes as no surprise. As Mann notes as well, the MTA does not believe that it will be in compliance with a 2015 deadline for PTC, but New York’s is hardly the only transit agency facing such a problem. Legislation to extend the deadline to 2020 is pending the U.S. Senate. Following last Sunday’s derailment and a series of fatal and non-fatal Metro-North accidents over the past year, the Federal Railroad Administration has ordered Metro-North to up its locomotive crew staffing and improve its overall security measures by the end of the year. While the new measures may lead to further overstaffing on a railroad that already spends too much on personnel, if the MTA doesn’t comply by December 31, it — and its executives — could be subject to steep fines and federal charges. The 14-page order details the Spuyten Duyvil derailment as well as two May incidents and the July derailment of a CSX freight train near Spuyten Duyvil. All four incidents are still under review by the FRA, but as the feds investigate the root causes of the recent problems, the agency issued Friday’s emergency order to head off any further problems. As is common with orders from the FRA, this one seems a bit heavy handed to me. In essence, the FRA is concerned that Metro-North’s signal system at various locations is not equipped to handle trains running at high speeds that shouldn’t be. For instance, since Metro-North doesn’t have a positive train control system in place along the Spuyten Duyvil curve, the railroad is relying on on its engineers to observe speed restrictions. When William Rockefeller reportedly dozed off last Sunday, his train sped through the curve at 50 miles per hour above the recommended speed. The results were catastrophic. So now, Metro-North is facing a temporary order to ensure that two qualified crew members are in the controlling locomotive cab or passenger car control compartment at locations along their routes where the speed drops by 20 miles per hour or more. This order will be in effect until signal systems and the corresponding Automatic Train Control system can be modified to enable “adequate advance warning or and adherence to” any speed restrictions in place. 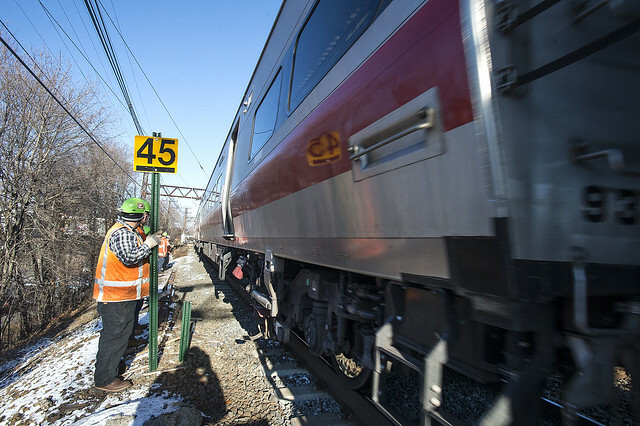 Metro-North must identify modifications to be in compliance with this order as soon as possible by December 31, and the staffing requirements will be effective as of Monday, December 10. I’m all in favor of safety, and the technology exists to ensure that there are zero train fatalities. Now, though, the MTA will have to find two qualified employees for each speed change. Those employees are those are “qualified on the physical characteristics of territory over which the train is operating, who is qualified on the signal systems on the territory, and who has been trained to apply the emergency brake to stop a train.” If a conductor is qualified, he or should could be that second person, but then ticket collection would suffer. 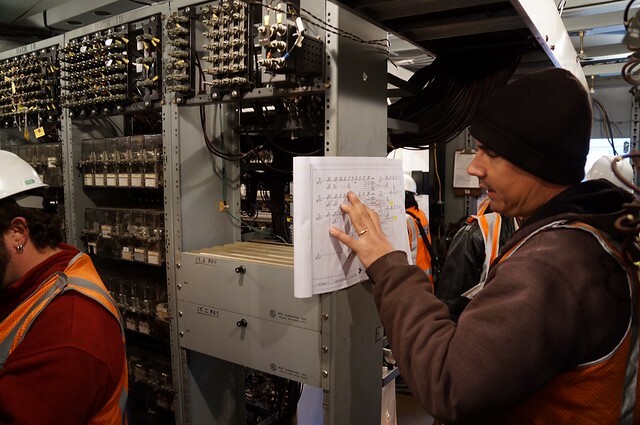 If no conductors are qualified, the MTA will have to up-staff their trains until the signal system is in compliance with the FRA’s EO. It seems as though the cost of complying with this order is likely to outweigh the benefits. In response, the MTA accepted the FRA’s suggestions and noted that Metro-North and the Long Island Rail Road will comply with the order. This evening, the MTA unveiled its plans for Monday. Engineers have installed new signal projections for the Spuyten Duyvil area which include automatic breaking near the curve. By Tuesday, MNR conductors will stand with engineers at the control cab through critical curves to verbally confirm speed limits. If the train layout precludes a physical presence, the personnel will communicate via radio. All trains will be equipped with alerter devices within the next year, and the MTA will reduce maximum speeds at 26 locations to ensure that there will be no areas where speed limits drop by more than 20 miles per hour. The MTA does not anticipate needing to adjust schedules as a result. Transit and Bridges & Tunnels, though exempt from FRA oversight, will conduct safety stand-downs this week as well. As now, PTC won’t be ready until 2019, but the MTA is facing increasing pressure to respond to safety concerns sooner. Gov. Andrew Cuomo, in fact, sent off a letter to MTA head Tom Prendergast urging an “accelerated” effort to implement PTC. Whether those concerns — and the FRA’s order — are overstated is a question I addressed last week. I’ll leave it for you to decide if this response is appropriate or if the FRA is simply closing the barn door after the horse has already escaped. It strikes me as a politically expedient and seemingly necessary, if heavy-handed, response to a problem that should have been avoided long ago. After running a nearly full slate of service on Wednesday, Metro-North restored all service along the Hudson Line for this morning’s rush hour commute. Crews had worked through the day yesterday rebuilding a second track in the area of the derailment, and Sperry Rail Car cleared it for service after ultransonic testing. Today’s morning commute went off without a hitch. Work on track four — the outer track which had been essentially destroyed — will continue for the remainder of the week. Metro-North reported that yesterday morning’s Hudson Line ridership was approximately 25 percent below normal peak for a Wednesday, but those riders were generally using Harlem Line trains and were expected to return to the Hudson route today. The people who were alleging that they’d turn to a much more dangerous car commute likely did not do so. It is not clear how long before the crash Mr. Rockefeller became inattentive, or whether the alerter system could have prevented the derailment or reduced its severity. It appears likely, though, that if Mr. Rockefeller had experienced a similar episode for an extended period on a northbound trip — when he would have been stationed in the locomotive — the siren might have sounded. In effect, trains configured and equipped like the one in the derailment employ the “alerter” system on only half of their runs. While much of the safety discussion since the crash has focused on an expensive control system that remains years away from reality for the transportation authority, rail experts have said that a number of lower-cost remedies could have been put in place — and should be in the future — both inside the train and across the system governing it…One potential safety improvement would be ensuring that the alerter systems were installed in every cab. The authority had said that new cars would include the systems in all cabs. Installing alerts in places where the engineer is for half of a train’s runs would, you know, make common sense. What else is there to say really? The Metro-North derailment that killed four passengers and injured 70 will likely cost the Metropolitan Transportation Authority tens of millions of dollars in wrongful death and injury claims—but insurance may cover all but $10 million. After that $10 million in self-insurance is exhausted, the agency will have an additional $50 million it maintains through its captive insurer, First Mutual Transportation Assurance Co., said Laureen Coyne, director of risk and insurance management for the MTA. In addition, the MTA maintains $350 million in liability insurance through multiple carriers in the commercial markets. In total, the agency is covered for up to $410 million in liabilities and says it stands ready to deal with any and all claims, which are likely to materialize in the months ahead as the nature of the injuries and causes of the accident become clearer. The MTA could not comment on whether the crash and subsequent payouts would cause its premiums to increase, but it seems for now, that the budget contingencies and insurance plans will keep costs in line with what the agency can afford to pay. The wheels have already been put in motion for the first of many suits to come.